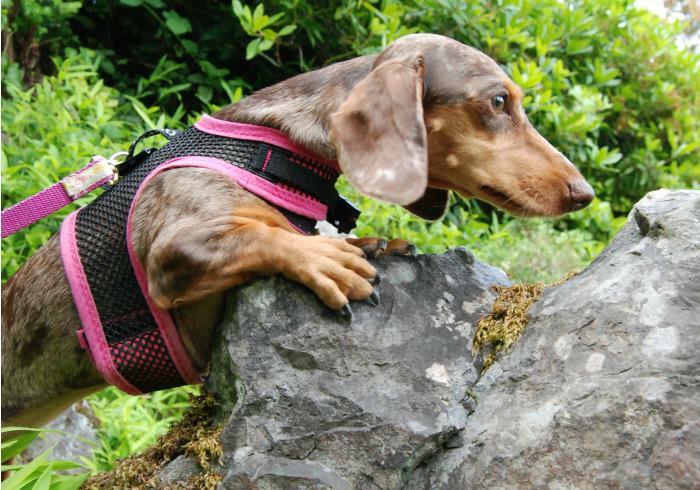 When your dog is your constant hiking or travel companion, there will be a lot of picture-worthy moments. The camera you are most likely to have on hand when you want to capture the moment – because it’s the only one you have or you forgot your “good camera” in the car – is your smartphone. Unfortunately, it can be a little tricky to get an Instagram-worthy snap or high-quality Facebook photo, with your phone camera. The tips below will help. Try to use natural light rather than flash when taking your photo (this will be easy when you are adventuring outdoors). Not only will flash flatten the image, making it harder to capture the color variations in your pup’s hair, but it might also spook your dog and make them less willing to be photographed. Dogs don’t know to look at the camera the way that we do. When it comes to holding their attention, it can be helpful to give them a focal point such as treat or a spoonful of peanut butter. When your dog does finally sit still for a photo or reacts well to the camera, reward them with a treat. As with training, treats teach them that sitting for the camera is a desirable behavior. Try not to force your pup into an uncomfortable or unnatural position when taking the photo. Not only will the dog drop out of uncomfortable positions more quickly, but pictures that more accurately showcase your dog’s personality will bring out a more interested and sympathetic reaction. Some of the best photos are taken by sitting in one place, letting your dog casually walk around or explore, and capturing the spontaneous moments. Taking top-down pictures of your dog may be the most convenient – especially with small dogs – but it’s not always flattering. To give your pup more dimension and personality, move around your dog. 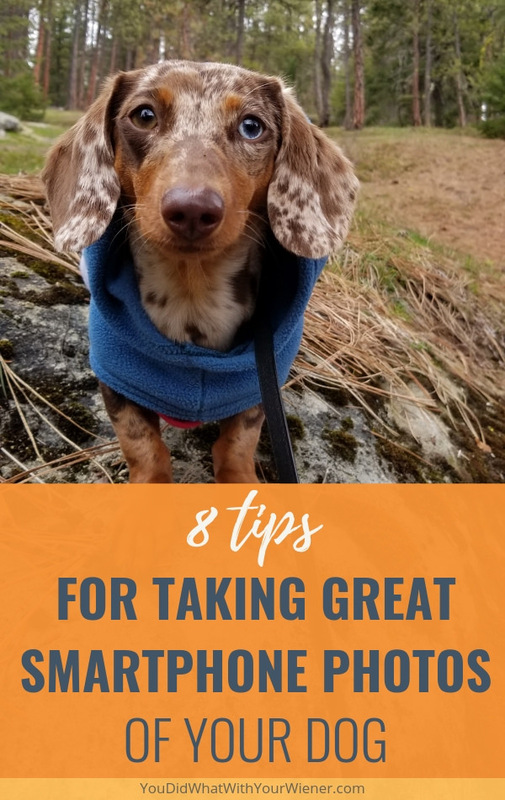 Try to get on their level with your smartphone and play with different angles, such as getting really low or setting your small dog on something, and shooting upward. It’s common to photograph a dog up close to emphasize their face. While these photos are very endearing, they all tend to look similar. 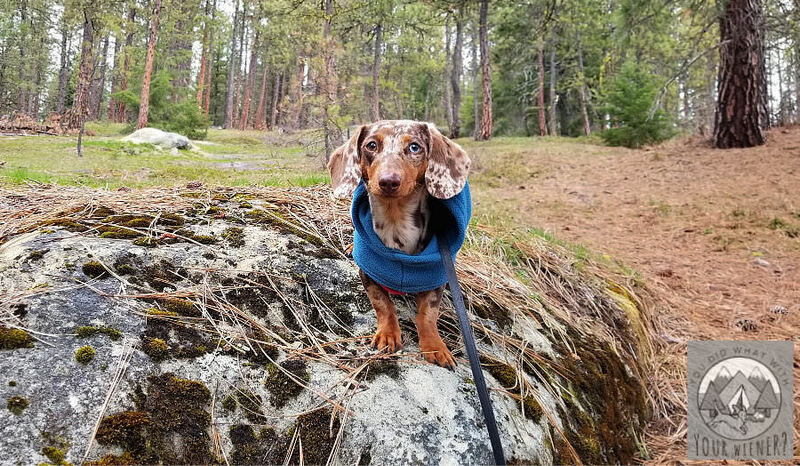 To shake up the formula, give your pet scale by stepping back, making sure your camera is zoomed all the way out, and incorporating them into a larger landscape shot. There is a happy medium too. 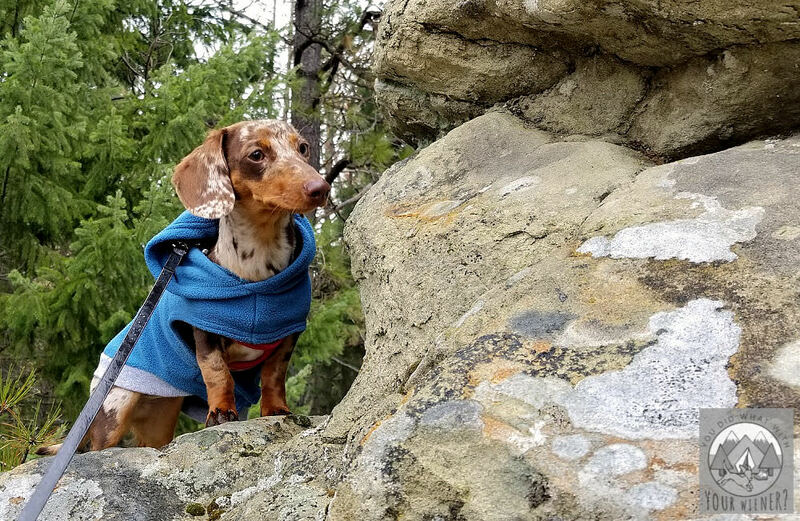 Instead of getting as close as you can to your dog, take just a couple steps back to incorporate a bit of their surrounding environment like a tent if you’re camping or a landmark when you’re traveling. Photo magic often happens in the editing process. To make your editing more powerful, if your camera has an option to do it, shoot photos in RAW format then use a smartphone app that allows you to edit a photo in RAW format later. While RAW format photos won’t be immediately shareable – you’ll have to edit them first – doing this will produce higher-quality images. Since you’re familiar with your dog’s behavior and patterns, you can stay a few steps ahead of your dog. This means that when they do something cute, you can be ready with your smartphone camera to take a snap. Capturing beautiful, in-the-moment photographs is just a matter of being ready. Dog photos are for more than sharing. They’re also great ways of remembering moments and adventures with our favorite companions for years to come. For more photo tips – especially if you are looking to master photos taken with a non-smartphone camera – check out this comprehensive photography tips guide. This is a guest post: Kelli is a healthy lifestyle blogger for GroomandStyle.com. She has been a regular contributor to sites talking about the newest trends in photography, smart style, fashion and fitness. When she’s not writing, she enjoys photography, hiking and pretty much anything outdoors.